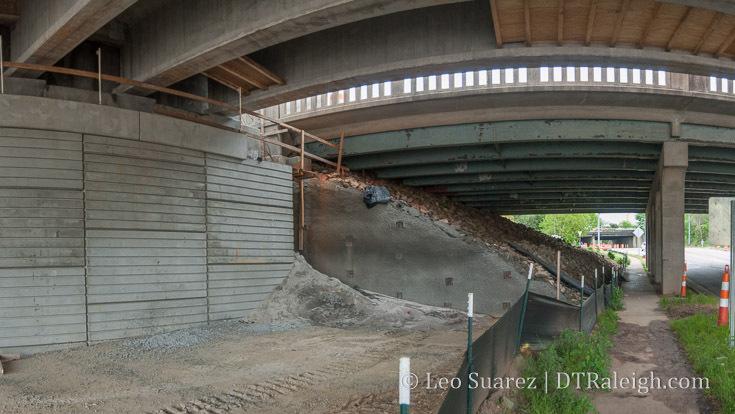 On the left, the new Capital Boulevard bridge under construction. Center-right is the old bridge. April 2018. It’s almost a vehicle lane, about 12-14 feet, on each side! This made me pull out the map and below is the one shared from the NCDOT project page. When looking at it, up is West (peace going up/down) with Capital going left-to-right and the dark red being the new bridge. 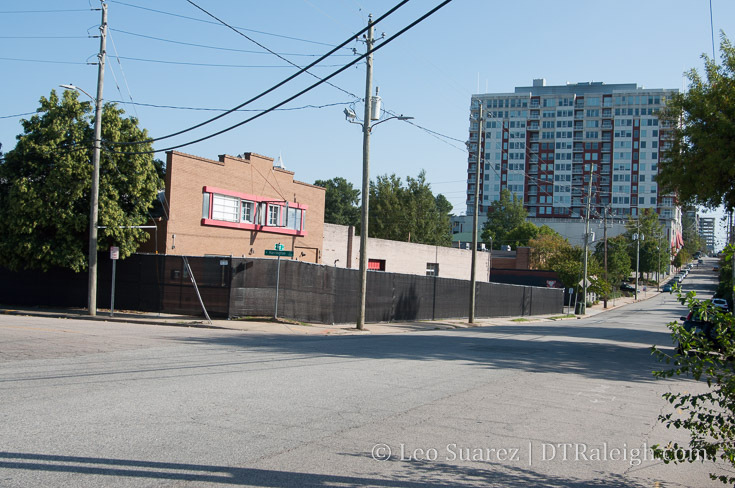 Click for a larger, zoomed out view of Peace Street. What is great to see is that while Peace is wider, it will still be a two-lane road just like today. The additional space is being given to turns lanes but also wider sidewalks and bike lanes. The bike lanes aren’t very clear on this map but if you look hard, they are there. 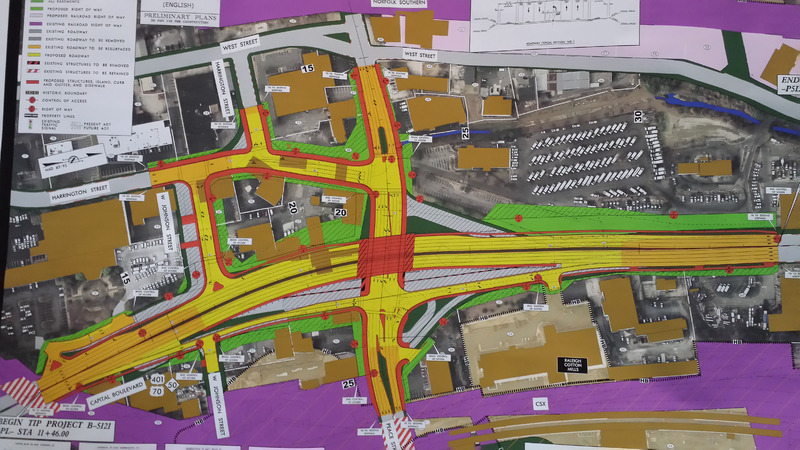 I will say that some of the added road space is going toward center turn lanes also. 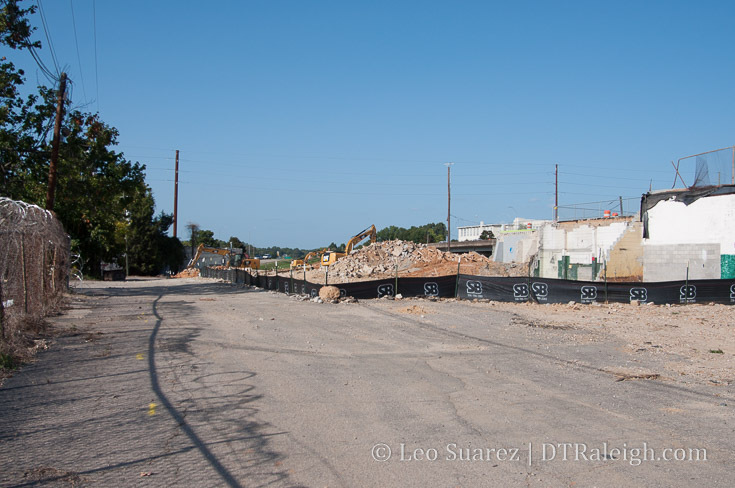 Either way, the road has to slim down because the CSX bridge to the east isn’t getting any wider. Anyway, it’s cool to see this come together one small piece at a time. Warning! (or treat!) This will be an image-heavy post. 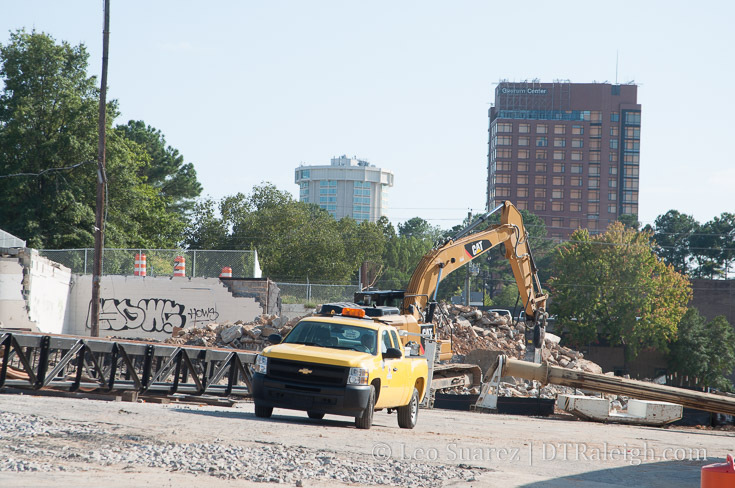 I had the pleasure of taking a walk up Peace Street recently, during rush hour, to witness all the demolition and work taking place around the Capital Boulevard bridge. We’ve all been following the work in this area for awhile but when you walk it, it’s truly at another level. I’ll write a little and then let the photos do the talking. 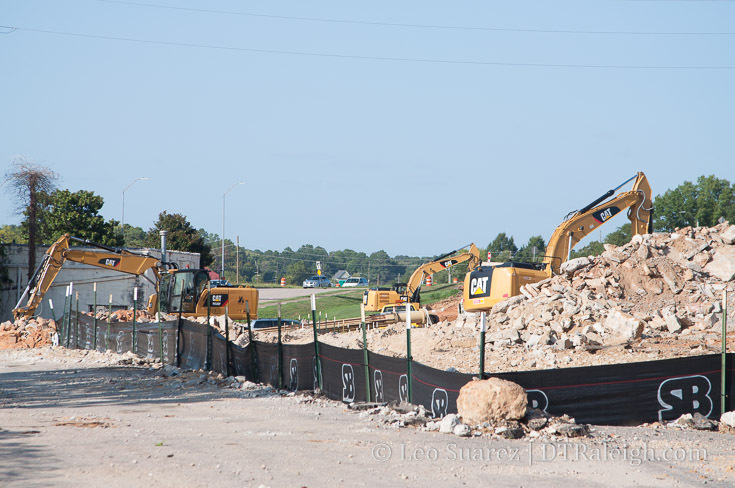 The Capital Boulevard work is really in full swing here as clearing for the new bridge over Peace Street takes place. 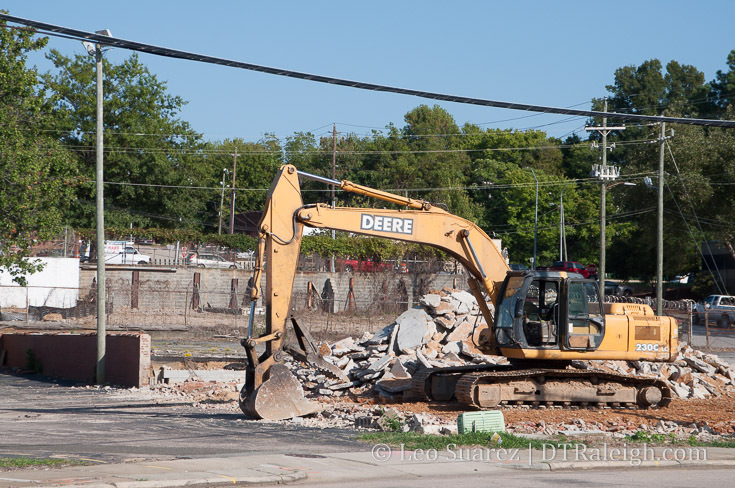 Buildings have been demolished and old foundations chipped away to make way for the Square Loop. At this time, construction fencing is up around the Smokey Hollow site. Even more demolition should be taking place in the coming weeks for the 12-story mixed-use project. In the pipeline also is the West Peace Street Streetscape project, adding more chaos to the street in the future. It’s a swarm of development in such a short amount of time. The end of 2019 should see all the street work wrap up for us to enjoy it. 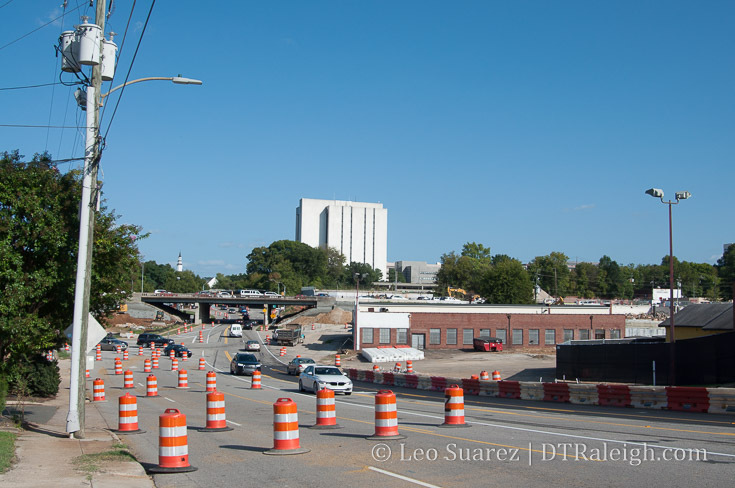 I’m starting to think that the state’s Capital Boulevard project would be this decade’s most impactful public-funded project taking place in downtown Raleigh. (Fayetteville Street being the clear winner in the 2000s) I wanted it to be Union Station but so much is going on here that I think this edges it out. Peace Street, September 2017. The former Fairway Advertising. Peace Street, September 2017. The former Finch’s restaurant. Peace Street, September 2017. Construction fencing around Smokey Hollow. West Street, September 2017. Construction fencing around Smokey Hollow. Johnson and Harrington Street, September 2017. 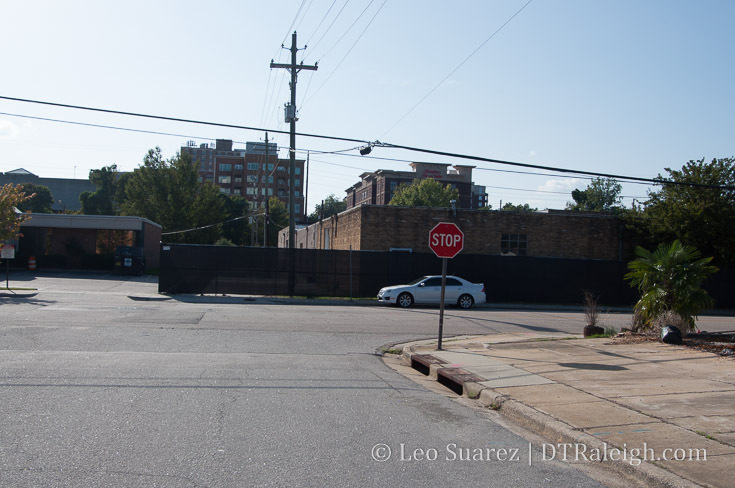 Construction fencing around Smokey Hollow and future Johnson Street connector. Capital Boulevard area, September 2017. Clearing of buildings for the square loop. 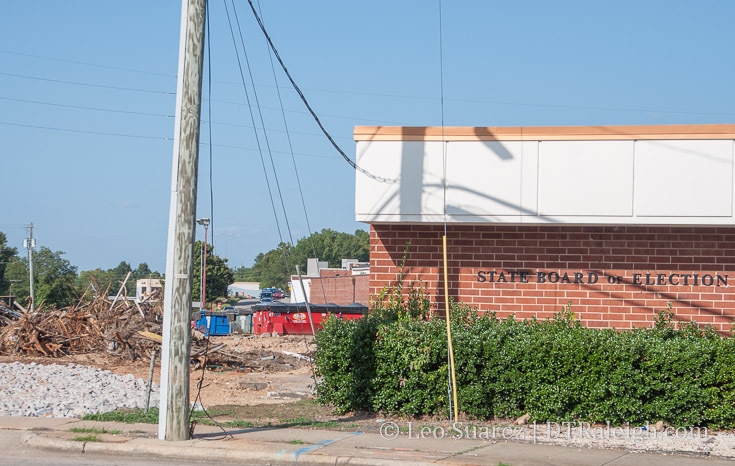 From the meeting this week hosted by NCDOT, the video above was being played on a loop at the Borden Building in Fred Fletcher Park Thursday evening. If you can’t see the embedded video, go here. The video is a great watch for those following this project and construction starts on Wade Avenue first this Fall. You can find more on the NCDOT’s project website. Readers of the blog should not be surprised that there is a lot of momentum coming soon to Peace Street. 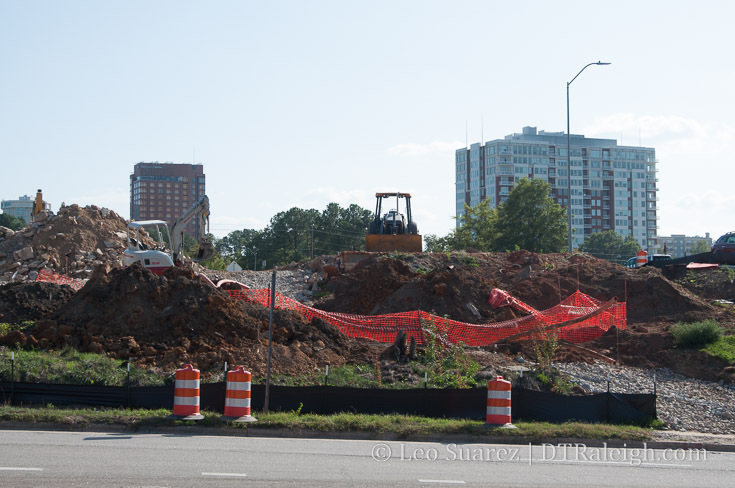 The Smoky Hollow project near Peace and West, Devereux Meadow park, the new Capital Boulevard bridge, and new developments in Seaboard Station, including a Harris Teeter, are all going to dramatically change the look of Peace Street. I went out there to take photos and I’m putting some lengthier stuff together, which I hope to finish soon. 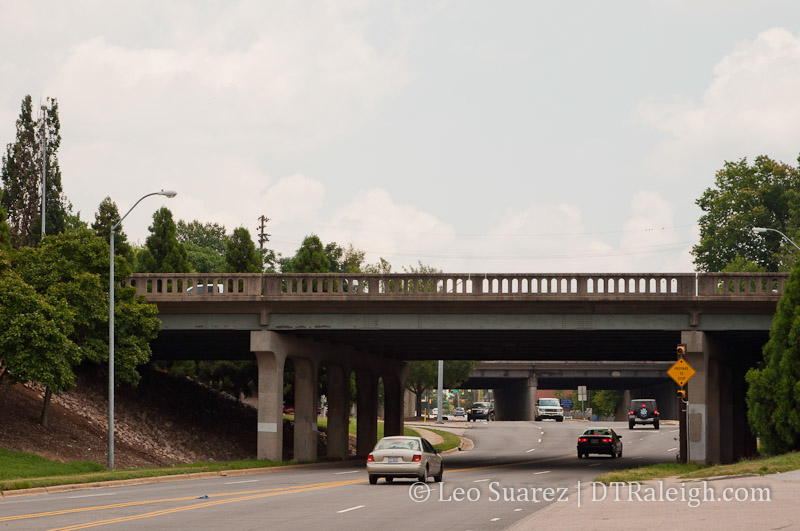 Speaking of the bridge over Peace, put August 18 on your calendar as a public meeting about the Capital Boulevard bridge replacement project is planned. Save the date! 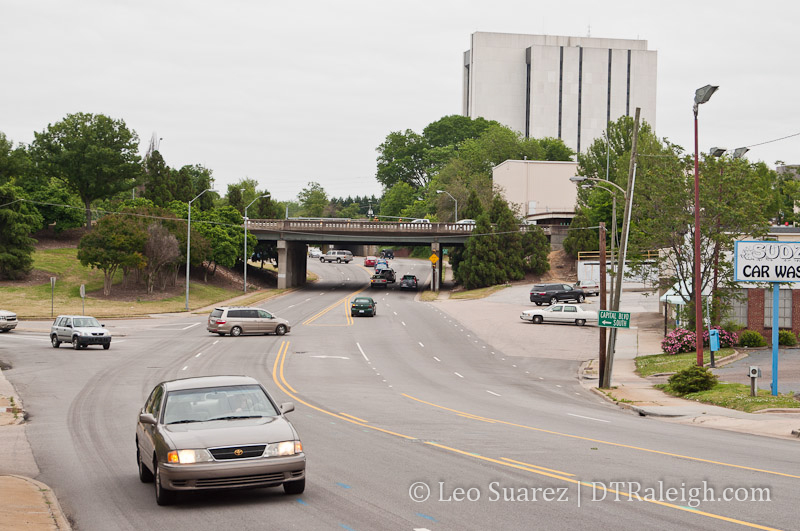 A public meeting is scheduled for Aug. 18 to discuss the Capital Blvd. project and traffic impacts. Details to be announced. Just a quick one today. 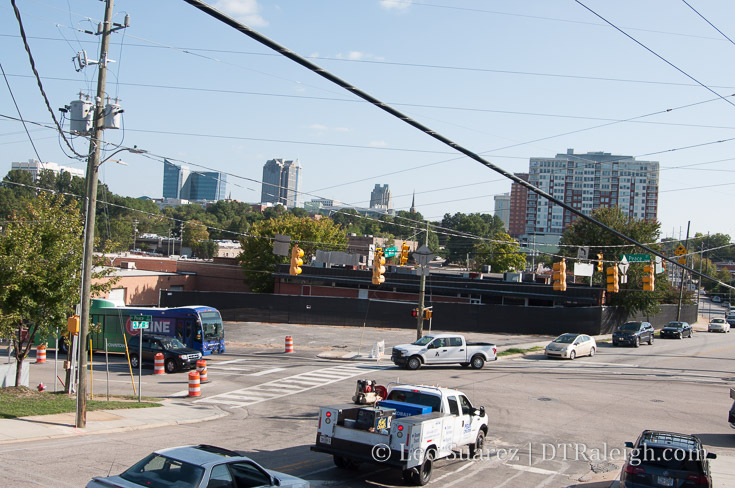 At yesterday’s Raleigh City Council meeting, approval was given for the NCDOT recommended P5 alternative, also known as “the square loop.” We’ve gone over this plan for that area before so I’ll recommend you jump to a November 2013 post. I feel the P5 alternative slows traffic down and starts to transition the area towards one with better urban form. I’m a huge fan of a grid-like street network and this alternative creates that in the new connection at Johnson Street and the Harrington Street extension. 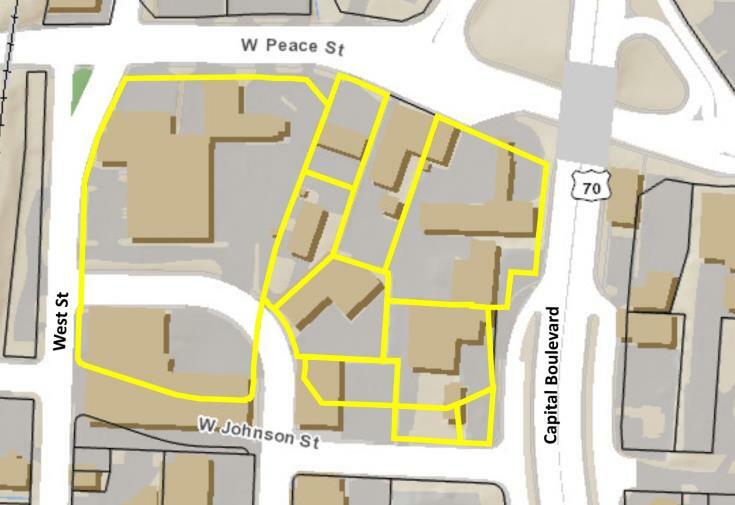 If we can add in on-street parking along these areas, interest in new development could increase. It can’t get any lower as the area only consists of sprawl-like, one-story buildings with surface parking. Up next is the environmental study which is planned to be complete by this Fall. Construction is planned to start in the Summer of 2015. 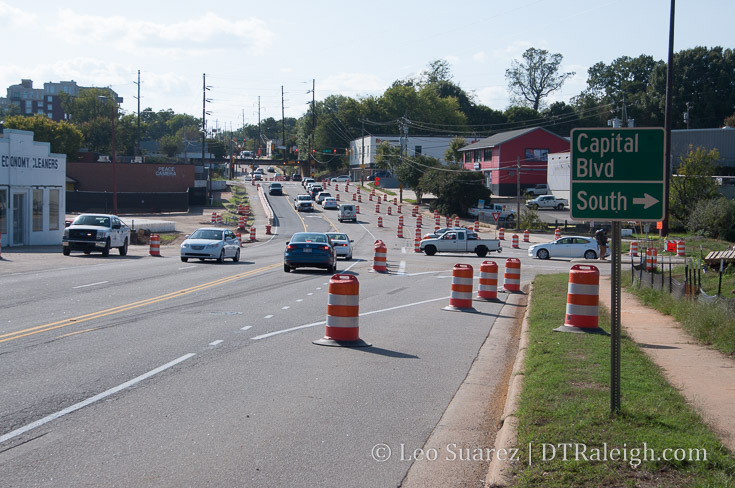 You can dive into the official project page at the NCDOT: Peace St./Wade Ave. Bridge Replacements on Capital Blvd. page. Peace Street interchange with Capital Boulevard. 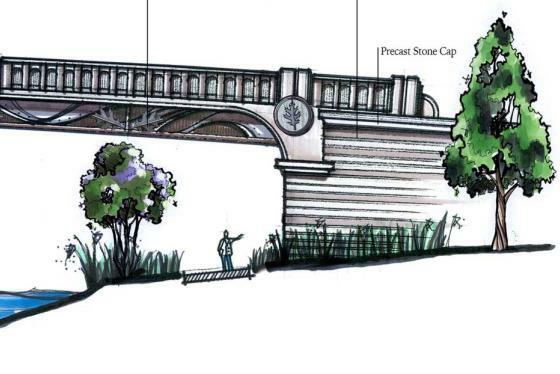 On April 22, NCDOT is hosting a public meeting to show off the final designs for the new Capital Boulevard bridge at Peace Street. According to their timeline, after the public comment deadline of May 23, the decision on which alternative to go forward with will be made. The P5, or enhanced, alternative. The base alternative is a one-to-one replacement of what we have today. 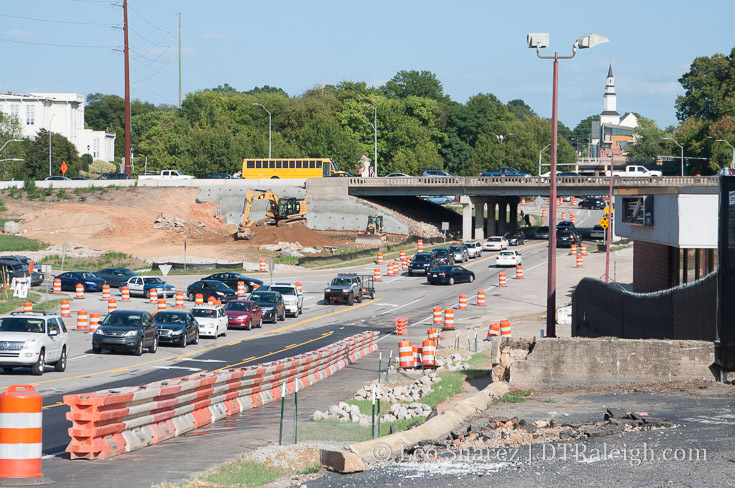 A new bridge will be built and the same on/off ramps will exist, just like today. 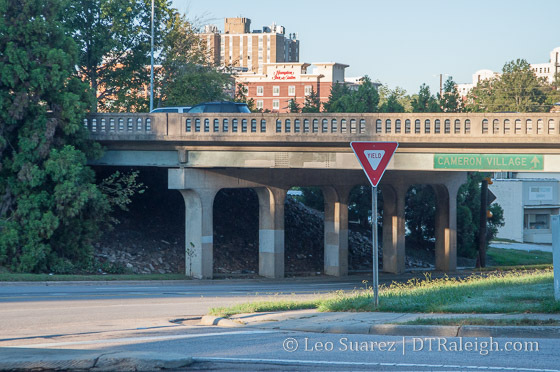 It’s possible that this alternative may get a two-lane on-ramp with northbound Capital Boulevard from Peace Street, the right lane being a right-turn lane for the Cotton Mill parking lot, but that is essentially the biggest change here. The favored alternative, by the city, the state, and informally from readers of this blog, to the best of my knowledge, is the P5 alternative, also known as “The Square Loop.” This plan brings back the grid and creates an area that’s more attractive to development, more pedestrian friendly, and transitions Peace Street to better urban form. Alternative P5, or Square Loop, for the new Capital Boulevard bridge over Peace Street. Click for larger. The problem here is that The Square Loop plan is costlier due to the need for more property acquisition and street reconfiguration. The $11 million dollar difference between the two plans does not make the favored plan guaranteed. 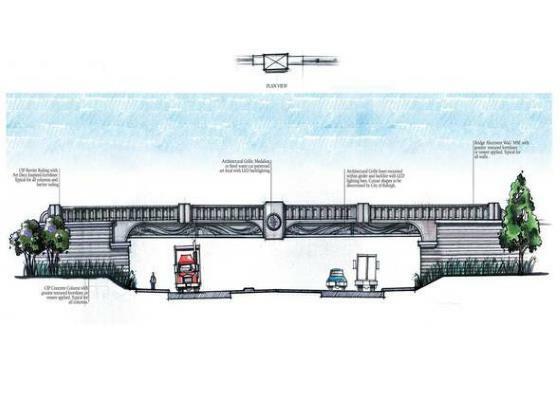 This is where the city has to step up and make this happen as it will most likely be more expensive to implement in the future if not done alongside this bridge replacement project. More to come after the public meeting.